Stan is an experienced consumer bankruptcy attorney, who devotes his entire practice to assisting people who seek relief from their debts. Stan previously was managing attorney for a multi-state creditor rights firm. When assisting his clients, Stan also relies upon his extensive experience in the financial industry. 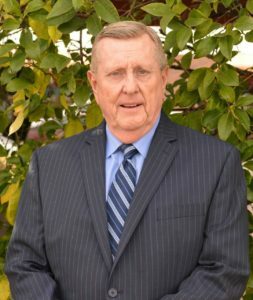 Prior to becoming an attorney, Stan worked as a branch manager of a bank, was director of a federally approved, non-profit credit counseling agency. Stan is one of two Arizona attorneys selected by the federal Consumer finance Protection Bureau to train other attorneys in consumer credit matters. Stan received his law degree from Arizona State University, Sandra Day O’Connor College of Law. Stan is a volunteer lawyer with Community Legal Services and provides credit counseling, and bankruptcy services, to low income families. Stan is a Navy veteran, who loves camping with his family, kayaking in the Sea of Cortez with his wife, baseball, and living in Arizona. He also loves providing families with a fresh start.